If you’re interested in learning Korean online fast and easy you’ve come to the right place. You already made a major first step by searching for ways to learning Korean online fast and easy. No language is easy or fast to learn but the tips listed below can help ease the pain of the process and speed things up. If you been thinking about learning Korean for a while now you may have heard the term Hangul by now. If you haven’t there’s no need to worry, Hangul isn’t hard for most people to learn. Hangul is the Korean language writing system. Unlike most Western languages Korean characters are not inspired by Latin. The Korean writing system was inspired by Chinese characters and was designed to be much easier to learn and use. There are many Hangul learning resources available online. You can learn non verbally on websites with worksheets and instructions available or you can learn through videos. Some videos on YouTube even teach all 24 characters of Hangul within an hour! Once you’ve learned Hangul, it will be much easier transitioning into learning vocabulary words. Learning any language is going to be a gruesome and lengthy process but one of the quickest and easiest ways to start off is by learning random vocabulary words. It is widely believed that the average native of a language knows around 10,000 words of that language. Korean is a language with many words and varying degrees of politeness that comes with each word. Keep in mind that certain vocabulary words will belong to a specific dialect or politeness level. One of the easiest ways to ensure that you are learning the proper vocabulary is by sticking to the Seoul dialect. Is the dialect that is used in K-Dramas, K-pop and most online Korean language sources are catered to the Seoul dialect. A great site to find vocabulary from would be TOPIK (Test of Proficiency in Korean). TOPIK has a list of over 6000 Korean words. Although, this website isn’t the only online resource you can gather vocabulary words from. 50 Languages are one of the many apps that can help guide you on your journey of learning Korean. There are many different kinds of apps you could download you can take it easy with a translated dictionary app or kick things up a notch with an app that will quiz you on the information you’re learning. Trying to become fluent in Korean solely by learning from language apps isn’t the best idea because there is no one around to judge your accuracy of pronunciation. However, there is definitely a plethora of useful information available on apps like Memrise, Duolingo and 50 languages. These apps are interactive so they do help out a lot with memorization but there are other options you can choose in regards to your memorization process. Many language professors believe that memory palaces are one of the best methods to use when trying to remember and understand foreign languages. A memory palace is a mnemonic that involves creating an imaginary location or using a real location you know well and using that location to store information you want to remember. There are many online articles and YouTube videos that can provide further information on memory palaces and how to use them to study a foreign language. Once you start familiarizing yourself with words in the Korean language the next best step would be to learn how to conjugate those words. Learning the basics of Korean grammar will definitely speed up your process of learning Korean. YouTube is a great place to find Grammar videos in almost any language. Even though YouTube has more than enough videos on Korean grammar, it isn’t the only place you can find videos catered to Korean grammar. Once you gain the ability to create and understand basic sentences and phrases you can further your grammatical knowledge by advancing to videos on online college courses or other video platforms. Videos are a great online resource for learning the grammar of any language but the online resources for learning it isn’t limited to just videos. It is a good idea to find an online Korean grammar game or worksheet you can work on while watching and studying these videos. Another way to make learning a foreign language easier is to familiarize yourself with it because the more you hear it the less foreign it sounds. The best way to do this online is through watching K-Dramas or listening to K-pop. Although, you should keep in mind that many songs in K-pop use informal phrases and mispronunciations of words in order to rhyme and keep up with the tempo of the beat. If you’re looking for more traditional and formal uses of the Korean language you can search for videos of political speeches given by Korean officials. 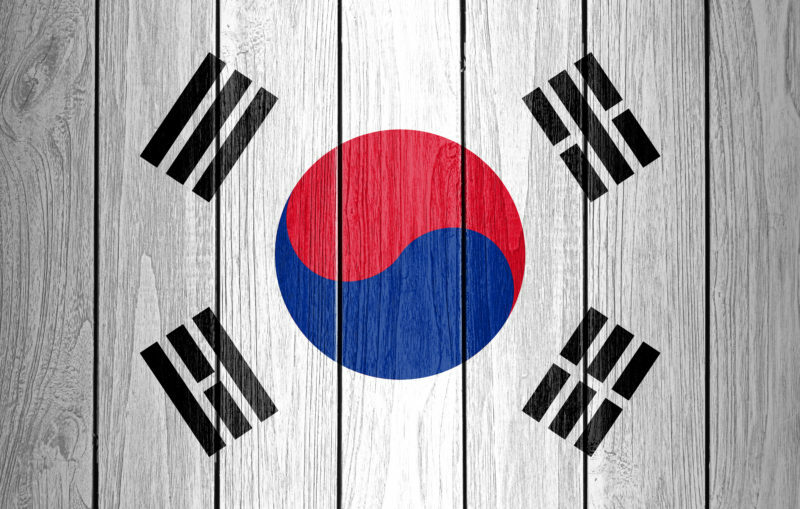 Whether it’s through watching documentaries or listening to short podcasts by Korean natives, learning Korean culture will dramatically advance your understanding of the Korean language. Korea is a Confucius society and a lot of that is rooted within the language. One of the reasons as to why there are so many levels of politeness in Korean deal with the culture of their society as a whole. In Korea, respecting your elders is so important that you cannot speak an informal version of Korean until you get permission from the elder you are speaking to. Learning more about Korean culture explains concepts like this and more rules that come with the language. The internet has always been a good resource for researching history belonging to almost any nation. If you’re more interested in studying the modern culture and the way things are in Korea nowadays it would be a good idea to make a penpal or friend who is native to South Korea to make sure what you’re learning isn’t just one-sided opinions from current citizens of South Koreans. Korean is spoken by about 75 million people. As that number increases the prices for physical Korean language tutors or classes begin to rise. It is definitely cheaper and more accessible to find a Korean speaking tutor or penpal online. Many online language learning programs like Rosetta Stone offer packages that come with online tutors you can video chat with. If you’re looking for someone you can have casual conversations within Korean it may be in your best interest to look for a penpal. There are many sites and apps that can assist you in finding a penpal in South Korea or someone who just speaks Korean.